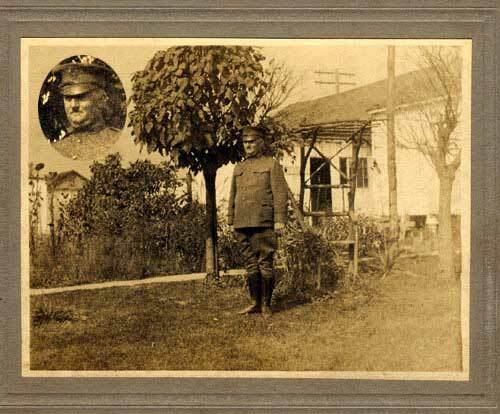 Photo shows Daniel Edwin Stone, Jr. in uniform standing in the yard in front of a building. Includes an inset photo of his face taken from the larger photo. Linked to DANIEL EDWIN STONE, Jr.